Plant of Mexican origin, the fruit is used in gastronomy. It is round and wrapped in very thin leaves. When the leaf is ripe, it opens exhibiting a beautiful greenish/yellowish fruit. Its flavor is similar to the acidity of the lemon but with a touch of sweetness. 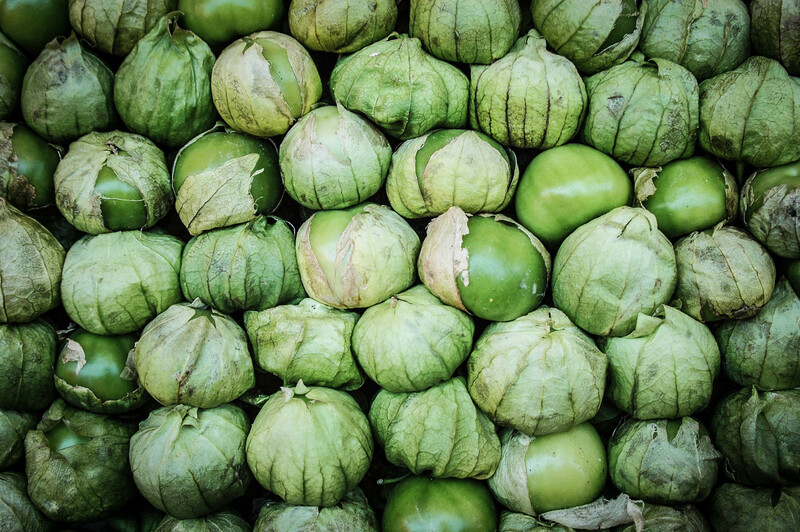 Tomatillo provides Carbohydrates, Calcium, Magnesium, Phosphorus, Sodium, Potassium and a good amount of Vitamin C.
(ES) Fibra (ES) 1.9 mg.
(ES) Magnesio (ES) 20 mg.
(ES) Sodio (ES) 1 mg.
(ES) Vitamina A (ES) 11.7 mg.